An unbiased, professional home inspector should inspect even a new home construction. Many of the deficiencies we discover as we inspect older homes date back to the original construction. Some builders cut corners and even honest builders make mistakes. A new construction home inspection can help provide peace of mind, knowing that your beautiful new home is well-built. A prevalent misconception (sometimes brought up by the builders themselves) would have you believe that the purpose of the city building inspector is to protect the consumer from poor construction practices. This is only partially true. City inspectors are charged only with enforcing the local building code. The building code is a set of standards adopted by the community to ensure that minimum safety standards are met in the construction of new buildings. These government employees are not there to ensure the quality of construction or adherence to materials manufacturers’ installation instructions. Also, most city inspectors are overworked and underpaid. They may be required to inspect as many as 20 houses in one day. At Elite Inspection Group”, we never schedule more than two inspections, per inspector, per day. You simply cannot rely solely on the city inspector to protect your interests. A new construction inspection is especially important if you are one of the many homebuyers who are out of state. We can be your local representatives keeping an eye on your home’s progress ensuring that your desires are implemented. We offer a full range of inspections on new construction projects ranging from pre-drywall to one-year warranty inspections. 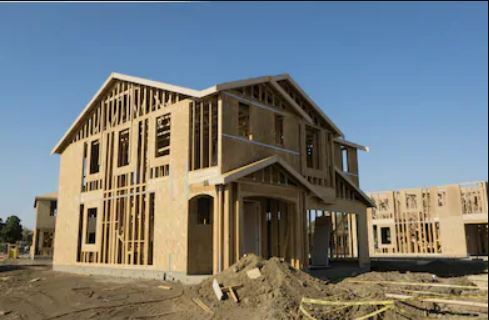 The typical sequence of a residential phased new construction inspection consists of three parts: Pre-foundation pour, pre-drywall and a final inspection. The pre-foundation pour inspection is best left to the engineers. Your foundation was specifically planned, based on many factors the home inspector does not have access to including soil testing and building plans. Our 3 phases of inspection including pre-drywall, final inspection, and an 11-month warranty inspection. Having the 11-month warranty phase is key to having the builder make all necessary repairs on their dime. Click here to view a sample pre-drywall inspection report. Click here to view a sample completed new home report. Pre-Drywall Inspection: This inspection is performed following the installation of framing, plumbing and electrical rough-in and just prior to the placement of insulation and drywall. 11-Month Warranty Inspection: Have one final look at your home before your warranty expires. You might as well get everything fixed on the builders dime, not yours.